Electronic Voting Machines (EVMs) are game-changers in elections, with an entire nation hooked on, awaiting results from them. Since 1999, EVMs began to be deployed in elections, gradually replacing paper ballots in local, state and parliamentary polls. Since 2000, they have been used in three Lok Sabha elections and 113 Assembly polls. For the upcoming Lok Sabha elections, Bharat Electronics Ltd and Electronics Corporation of India Ltd have delivered EVMs to 10.6 lakh polling stations across India. However, many political parties and technical experts continue to question the reliability of EVMs. Recently, Chief Election Commissioner Sunil Arora fumed that EVMs were being “tossed like a football” in the political discourse. Arora claimed that the Election Commission (EC) was pulling all stops to reduce instances of malfunctioning, and that these instances were not of deliberate “tampering”. Now, what is the EVM? The EVM is a friendly-looking machine that offers you a button to opt for a candidate. It has two units – a control unit with the polling officer, and a balloting unit wherein the voter casts his vote. The polling officer activates the control unit so that you can cast your vote in the balloting unit. As soon as you hit the button for the candidate you wish to pick, you automatically lock the machine. After this, it can be opened only when the officer reactivates it for the next voter to cast his vote. Hence, the EVM is a ‘single’ lover: one person one vote, it says. It is a standalone machine that cannot send wireless communication through radio frequency transmission or reception. For Lok Sabha elections, nearly 22 lakh balloting units and 16 lakh control units have been delivered. EC had introduced the Voter Verifiable Paper Audit Trail (VVPAT) following a Supreme Court order of 2013. The order had come about in a petition filed by Subramanian Swamy, currently a BJP MP, after the UPA had won the 2009 Lok Sabha elections. Swamy had first approached the Delhi High Court opposing the use of EVMs. The Delhi HC agreed that EVMs were not tamper-proof, but didn’t issue any direction to the EC. Swamy then approached the Supreme Court, which ordered that the EC should use VVPATs in a phased manner, and should complete installation by 2019. 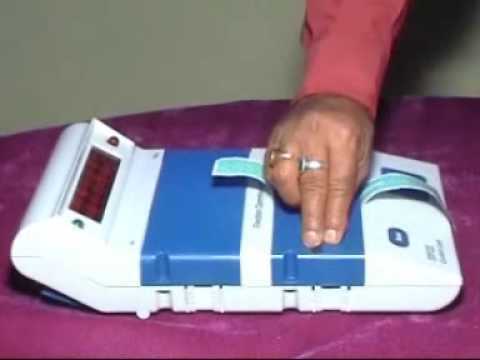 The VVPAT, which is connected to the balloting unit of the EVM, generates a printed slip as soon as you cast your vote. The slip briefly displays the party symbol, the candidate and serial number that you chose, allowing you to immediately cross-check who your vote went to. However, the display would be visible only for seven seconds, and you cannot keep the paper record. The printed slip automatically gets cut, and vanishes into a sealed drop box. The balloting unit and VVPAT would both be located in the compartment where you go in to vote, and they would be linked to the control unit by a five-meter cable. In case of an error with either the control or balloting units, the entire system including the VVPAT has to be replaced. But in case of an error with a VVPAT, it can merely be replaced with a reserve. In India, VVPAT was used for the first time in Noksen constituency, Nagaland, in September 2013. 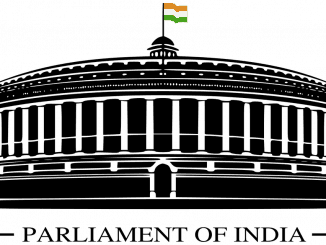 It was later used in the entire Goa Assembly elections in 2017. About 17 lakh VVPATs have been delivered for the Lok Sabha elections. As political parties kept questioning the security of EVMs, the EC introduced an advanced ‘M3’ version of the EVM in 2013, which replaced the previous M2 version. With this, more than nine lakh EVMs bought before 2006 were junked. According to the EC, the new voting machines stop working if they are tampered with. These EVMs have a Public Key Interface (PKI)-based mutual authentication, to ensure that only genuine EVMs can be used for communication within the established network. Diverse EVM units would be able to identify a fake unit that does not have an authorised manufacturer, and the fake unit would not be able to connect to the network. M3 EVMs are more tech-advanced, but are the same as M2 EVMs in operational terms. In the M3 version, 384 candidates including NOTA can be displayed, by connecting 24 balloting units together. In comparison, the M2 version could give you a maximum option of 64 candidates by linking four balloting units. Why the EVM, at all? Greener: When you use an EVM, you do away with paper ballots, saving millions of trees. So the EVM is a green friend. Simpler: EVM makes voting simpler, with just one click. They are also lighter and more portable compared to large ballot boxes. Cheaper: EVM is a sophisticated machine dearer than paper; it costs Rs 5000 to Rs 6000. However, it lasts for 15 years on average. It also does not require power as it runs on batteries. Faster: Vote counting is much speedier. The results are out in hours, as against manual counting that could drag on for days. And, why not the EVMs? Ever since the launch of EVMs, doubts have been raised on their security. Such skepticism is not unique to India though. Several countries, including England, Italy, Netherlands, USA and Germany banned the use of EVMs in the 2000s, due to doubts raised over their “security, accuracy, reliability and verifiability”. Today, about 20 countries use EVMs. Even as Europe and USA seem to be moving away from it, Asian and African countries seem keen to adopt it. In India, debates on the credibility of EVMs have intensified recently. In a 2017 press conference, BEL CMD V Gowtama asserted that EVMs are simple calculators, just independent machines that are not connected to any external network. According to the EC, EVM has a One Time Programmable (OTP) chip, and it’s not possible to rewrite its code without damaging the sealed microchip. However, Gauhar Raza, Chief Scientist at the NISCAIR (National Institute of Science Communication and Information Resources), has said that EVMs are not really ‘tamperproof’ or ‘fully-protected from outside attacks’, and can be easily meddled with just a remote mobile phone. Earlier teams that gave the ‘safe’ chit to the EVM did not have computer security expertise or even access to the EVM source code to validate their claims, he said. Even if the number of EVMs is huge, it is not difficult to tamper with them technically. According to Raza, hackers could study previous election results and hack selected EVMs at only certain polling stations, to wrest the magic winning numbers for a party. While the VVPATs were introduced to ensure some public auditing, and thereby build trust in the system, these have malfunctioned too. Last June, during the Bhandara-Gondiya boypolls in Maharashtra, and the Kairana bypolls in UP, 20% and 21% of the VVPATs respectively malfunctioned, and had to be replaced. According to EC, the malfunctioning was due to weather conditions and “excessive exposure” to light. During last year’s Karnataka assembly polls too, many VVPATs showed ‘glitches and machine malfunctioning’ during both testing and polling. As a result, BEL and ECIL have now introduced a built-in hood for VVPATs, to protect them from excess light and heat. The party that loses elections never seems to think that EVMs are safe. In 2009, after the UPA won the general elections, BJP’s veteran leader L K Advani said that it wasn’t safe. In March 2017, Bahujan Samaj Party leader Mayawati alleged that EVMs had been manipulated in the UP Assembly elections. “No matter which button was pushed, the vote went to the BJP”, she said, after BJP’s landslide victory in the state after 15 years. Arvind Kejriwal-led Aam Aadmi Party knocked on the EC’s doors in March 2017, charging that EVMs had been manipulated in Punjab. AAP said that the slips generated by VVPATs should be matched with the poll results. In return, the EC only told Kejriwal to introspect and analyse his party’s performance in Punjab. In 2017, AAP MLA and software engineer Saurabh Bhardwaj gave a live demonstration of tampering, with the help of an EVM prototype, in Delhi Assembly. However, EC rejected the demonstration, saying that Bharadwaj’s prototype was only a “lookalike” of the EVM. Later, when the EC held an “open challenge” to hack the machines, no political party attempted it. AAP claimed that the challenge was futile as the EC did not hold an open hackathon giving full physical access to the EVMs including its internal circuitry. Before the Gujarat Assembly elections in December 2017, Patidar leader Hardik Patel said that more than 3550 VVPAT machines had failed the first phase of testing. He averred that “BJP will indulge in fraud” during the elections. The December UP civic polls threw up some interesting results, with Samajwadi Party President Akhilesh Yadav pointing out that wherever ballot papers were used, the BJP secured 15 percent of the votes, while in EVM-run polling areas, it won 46 percent of votes. On January 7 2019, the SC directed the EC to respond to a petition requesting that EVM and VVPAT counts should be tallied in at least 30 percent randomly chosen polling stations in every constituency, during the upcoming elections. 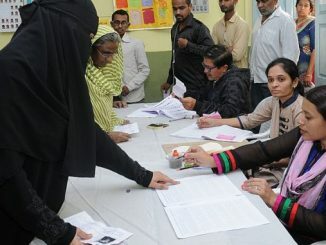 The petition, filed by two ex-bureaucrats and a retired banker, said that just “a miniscule” one percent had been tallied in previous elections. Hence, the EVM problem-solution-problem wave continues to rise before the May 2019 elections – and presumably will roar after that too! Revathi Siva Kumar is a freelance writer based out of Bangalore. Data shows that women MPs form 11.58% of the total number of MPs in the 16th Lok Sabha. That and four more charts explain the status of women in Parliament and offer a bird’s eye view of women’s representation in state assemblies. 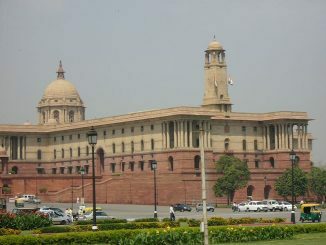 India witnessed its first ever elections in 1951-52. Since then, the democratic system has undergone a sea change with the number of voters, political parties and other stakeholders growing exponentially. Today, India is the world’s largest democracy. How did it all start and where are we headed next?